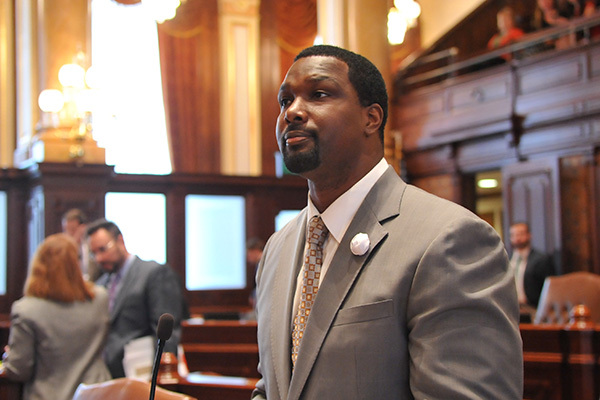 “The release of the footage of Laquan McDonald’s final moments ignited a number of emotions among people. Fear, anger and confusion were felt throughout the city. People need to speak up. These are our communities. Police brutality and excessive force have no place in them. 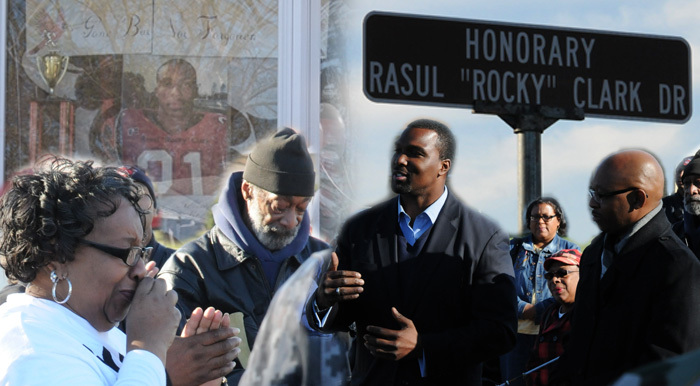 State Senator Napoleon Harris (D-Harvey) joined Annette Clark along with other officials, family and members of the Robbins community to honor the memory of her son with the dedication of the Honorary Rasul “Rocky” Clark Drive on the corner of West Lydia Avenue and South Hendricks Road in Robbins.